It's one thing to think about the amazing ideas, and it’s totally another thing to put them into action. The same situation may occur in writing either a novel or assignment. Let's face it, almost every famous writer can be found in a situation when he/she is supposed to write something creative, but the mind goes blank. What to speak about a student who is assigned to many different tasks? Irrespective of whether you are in middle or high school, or in a university, once in a while, you can be required to engage in creative writing activities. 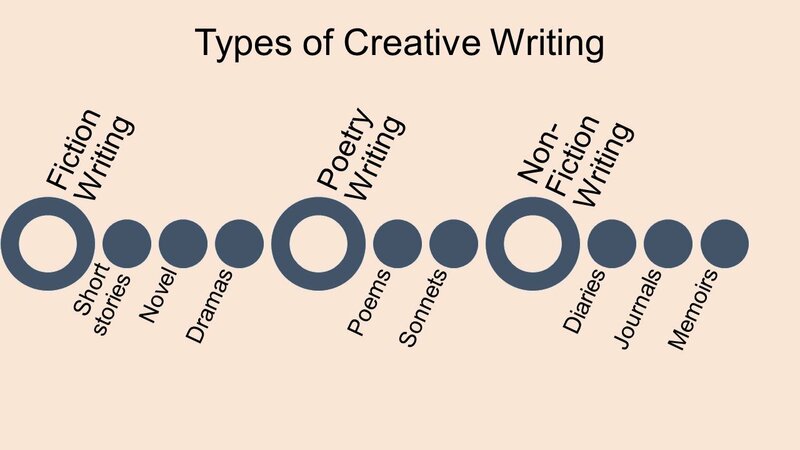 What is creative writing? It is just a form of writing that uses the creativity of mind to express emotions, thoughts or feelings. Whereas the other pieces of writing focus more on giving facts and analyzing issues, the pieces of creative writing are all about entertaining, spreading or expressing thoughts. This activity offers students to imagine that they are an active archaeologist. They have to write about something they come across when excavating. They need to describe in details what they excavate and state its significance in the modern world history or culture. Students studying Psychology or Sociology need to deal with the statistical data. As a rule, they are asked to create a questionnaire for different purposes – collect the measurable data from a specific group of people. There is no specific format of a questionnaire/survey and students have to use their own creativity. If you are taking a literature course at a college, you are likely to be asked to write a poem as an assignment. To score high marks for your poetry assignment, you have to be extra creative and consider all the aspects of the poem evaluation. A good teacher should encourage your creativity at the high-school level as well. So, how can you be tested for the creative assignments in a high school? Have you ever heard from your educator, “Speak quickly as I’m in a hurry now”? As a rule, you need to formulate your ideas as briefly as possible. The same task is in the given creative activity – you are only given one sentence and required to use all your creativity to come up with a complete story. Read 15 amazing 1-line stories to have an idea what you’re required. At Stanford Graduate School of Business, you’ll find the article by a lecturer on the essentials of strategic communication, Matt Abrahams, who states that spontaneous public speaking is much more prevalent than planned speaking, especially in the business area. A speech should address a particular audience, and this means that you have to select your vocabularies carefully. Besides, you also have to be creative and make your speech interesting to listen. In the estimation of most tutors, it is better to be still ready for these off-the-cuff conversations by writing a speech, then producing it in real-life conditions. In many creative writing workshops, you’ll find the task to craft creative compositions. You may ask, “Every day I write my compositions, and the scope for my creativity is limited to academic strict requirements”. In fact, things are different when writing a creative story. Students are given a topic, and they are required to create an imaginary story. In the first instance, you can be asked to finish a story. Then, you’ll need to come up with a story based on some pictures, melodies, etc. Every piece of writing has to correspond to the topic as you imagine it, at the same time be informative and interesting to read. Students’ creativity is an important ability in middle school. There, students are taught to use the imagination to produce new ideas. What assignments can test your creativity in middle school? Students are required to be creative when addressing a specific topic. For example, the topic of the essay can be “What does it mean to be a feminist?” This particular essay is addressing a specific niche and requires students to use their creativity to come up with fresh ideas on what to include and what not to include in the essay. This form of creative writing allows students to express their thought freely and creatively. There are no requirements to follow, no specific issues to solve, and no pressure to produce a finished version. you can write on an open-ended topic. It is a great starting point for you if you dream to be a famous scriptwriter or simply a creative person at work. Learn to be a step ahead, and this step you should take in your middle school. If you want to improve your creativity in writing, then you have to read a lot. You can read English storybooks, find various stories online or even read works from your friend who is more creative. Today, many creative people have the possibility to keep a blog from which you can take some creative ideas for your assignments. When reading, pay attention to the plot of the story to get a grasp on the author's thoughts, feelings. If you come across any word that you are not familiar with, write it on a piece of paper and find its meaning in a dictionary, for example, in the Oxford Dictionary or any other that is reliable enough. One of the most effective ways that can improve your creative writing skills is rewriting. Don’t get surprised that rewriting can help you become creative as rewriting involves using own words or paraphrasing. Don’t act in such a way. You find a good story/article interesting for yourself, then rewrite it according to your preferences or vision. Use not only different characters, different words but different views of the plot. You don’t know how creative you can be until you keep a personal journal. Whenever something interesting, heartbreaking or boring happens in your life, write it down in your personal journal. There is no restriction on what you can write in your personal diary, and this gives an avenue for your creativity. For more effectiveness, ensure that each and every day, you write something in the journal. You will be surprised at how creative you are when you actually read your own journal one month later. Don’t think that playing games is a great excuse for you to get lazy just because you can improve your creativity only by playing imaginative games not computer ones. But sometimes, these games can also help you. What are these imaginative games? For example, ‘What Happens Next?’, ‘Renaming’, ‘Opposites’ or a game of I S-A. Other than going out to a party or chatting on social media, use this precious time to play a game that will help enhance and improve your creativity. This will be like killing one bird with two stones. It’s a nice way to refresh your mind while, at the same time, you will be working on your creativity. 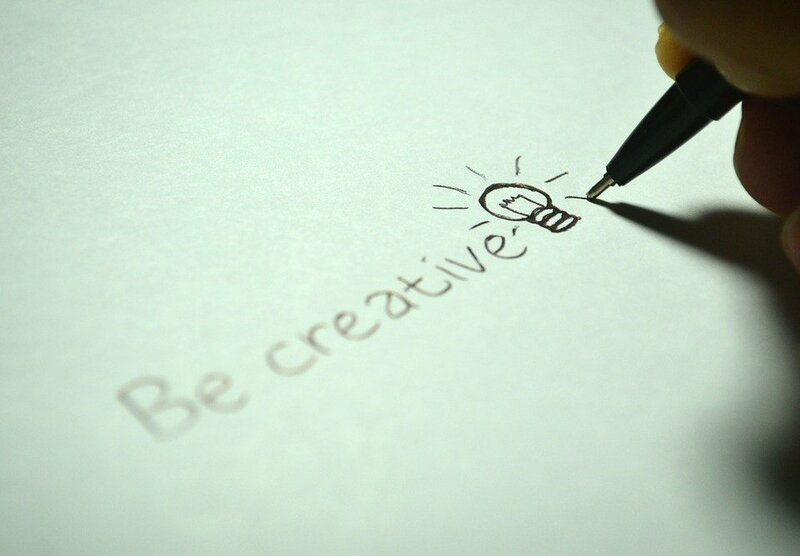 The best way to improve your creativity is through the constant practice. Don’t wait for the moment when you will be in an exam room. Try out the following 10 examples of prompt ideas no matter where you are studying – in a college, high or middle school. You’ve already known what contributes to your creative writing. Our assignment ideas for creative writing are open to you. Don’t hesitate to practice them!